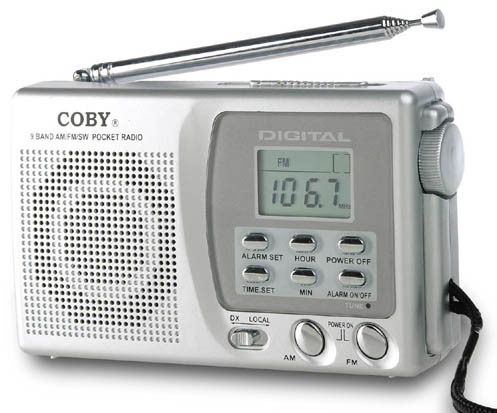 The Coby CX-CB91 provides worldwide listening on a tight budget. 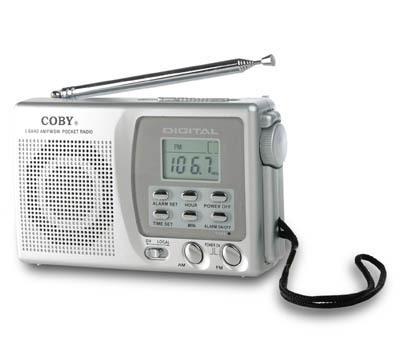 This digtial portable covers AM (530-1710 KHz), FM 88-108 MHz and seven shortwave bands. It features a clock with alarm. It also has a Local-DX switch. This radio comes with earbuds and wrist strap.